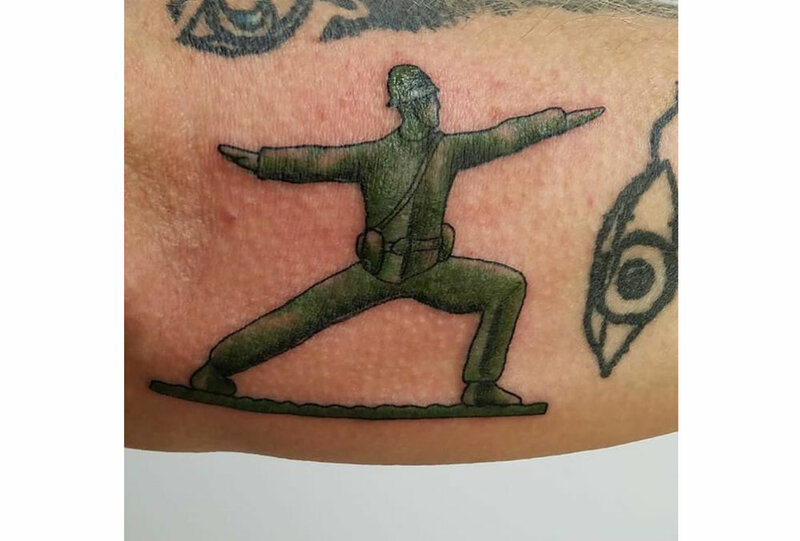 One of the most unexpected and gratifying aspects of creating Yoga Joes has been the big, positive response from yoga practitioners within the veterans and servicemember communities. One of our favorite yoga organizations serving these communities is Connected Warriors, whose goal is "to support, improve and facilitate the well-being of Veterans, service members and their families in communities nationwide by providing effective wellness programs at no charge." We here at Yoga Joes are big fans of the Connected Warriors organization. 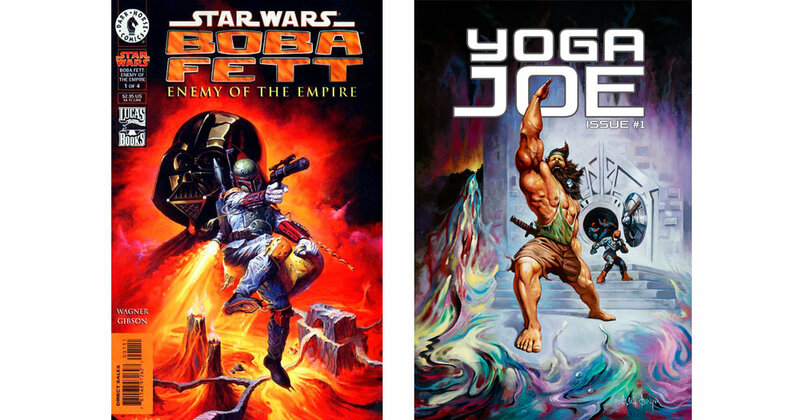 Thanks to Connected Warriors, Yoga Joes have been able to help keep the inner peace as far away as Afghanistan. 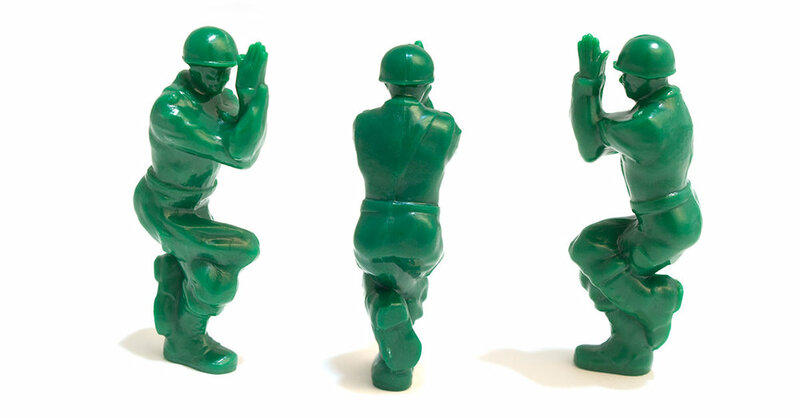 As a small token of our appreciation, this Veterans Day, for every Yoga Joes set we sell, $10 of your purchase will go straight to Connected Warriors. A total stranger emailed me from South Africa wanting to get weird in the desert dressed as Yoga Joes for the Burning Man of South Africa. I gave them costume advice, and I can't believe that they actually did it. Production involved mannequins, Army Surplus clothes, and a ton of green paint. 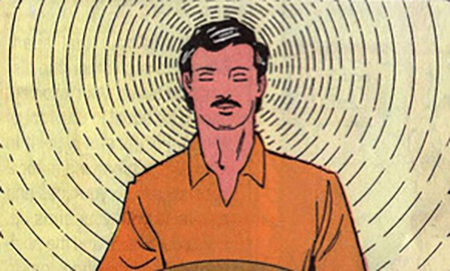 One of my goals was to make the meditation Yoga Joe levitate. The solution? A children's basketball hoop. The hands were a major problem - they had to be in the correct position, and most mannequin hands are in a weird cupping pose. I went to a mannequin boneyard and was able to salvage what I could, but had to do some serious Frankensteining. I used polyfiber puddy to fill the holes, and epoxy to make impossible joins happen. And then, I sanded them down like crazy. Then, we had to take apart our masterpiece, and put them in enormous boxes to overnight them to New York! It was very heartbreaking to disassemble something we'd spent so many weeks creating, but that was all part of the plan when we designed it. In the end it was all worth it, especially when seeing people's reactions when walking by the giant warrior monks. They would typically burst out laughing or be completely puzzled. 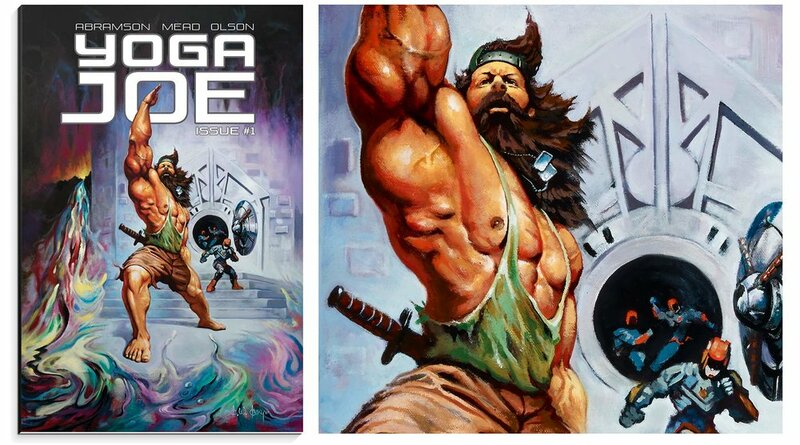 The Life-Size Yoga Joes went on display in both Manhattan and Brooklyn storefronts, and are now on their way to Connected Warriors in Florida, a non-profit that brings yoga to veterans.